Keto Diet – Food Pyramid Turned Upside Down! Keto is probably the most talked about diet of our times. I am sure you have heard how Keto diet can help you to shed those pounds, stay healthy, help you live longer, increase your productivity even make you look younger and now you're probably planning on joining the bandwagon. I can't blame you, it must be exciting to kick out all the carbs from your daily diet and eat more cheese, eggs, and meat, and then get a trim physique in return. And it is not only celebrities who are promoting it, Keto diet is also the latest buzzword in health and fitness circles. There is a huge section of nutritionists and health practitioners that swear by its benefits. Millions of people worldwide are going keto based on their lofty claims of weight loss but is it really a panacea for all your fitness problems or is it like any other diet that only makes tall promises but delivers little? Unfortunately, it’s not all really a cure-all as we are made to believe. Ketogenic Diet May Not Be the Panacea It’s Made Out To Be! Do You Want To Learn More? Watch This Shocking FREE Video Report Below! Losing weight and keeping it off can be difficult in a long run and fad diets that promise quick and painless weight loss simply don’t work. “Keto” is the short form of ketogenic diet, which works by changing the fuel source for your body. Normally, your body draws its energy from glycogen, which is a sugar stored in the liver and muscles and is obtained from carbohydrates. When you drastically cut down on carbs, your body starts to draw energy from ketones, which are molecules that your liver produces in absence of glycogen. The shift is not easy, and it takes about 1-3 days for your body to enter ketosis. The keto diet appeals to many due to rapid weight loss promises – however, the negative effects often get overlooked. Those using the diet inappropriately can face serious health consequences, so going on the #ketogenic #diet isn’t to be taken lightly. This shift in fuel source is the main selling point of keto. The logic sounds convincing and is easy to buy into. What excites people about keto is that the body’s fat reserves are burnt, but we should not forget that the keto diet is high on fat, so what you eat also gets converted into ketones. Nutrition experts are of the opinion that keto is only as effective as any other diet you might have heard of. Anyone looking for a magic formula to transform the body and get rid of all their health problems gets pulled towards this diet. Bacon and Eggs is a popular breakfast favourite, especially for those on a keto, paleo and low carb diets. The only thing you can do to ensure that you burn more fat than you eat is to reduce calorie intake, which is how most of the other diets also work. For instance, if you cut out carbs, your calorie intake drops and this leads to weight loss. So, whether you remove all fat or all carbs from the diet, the effects would more or less be the same. Anyone who is on keto or a low carb diet may lose significant weight in the short term, but the toll it takes on their overall health could be phenomenal. So, unless your sole aim in life is to lose all the body fat, #keto #diet may not be your best bet. The concept of keto can be dated back to as far as 500 BC when it was discovered that fasting could control epilepsy. Later, in the 1920s, some researchers found that the epileptics started to feel the benefits two to three days into fasting and this is the time when the body starts going into ketosis. This got another set of researchers to conclude that these seizure controlling benefits can be achieved by keeping the body in ketosis, i.e. by taking a diet that comprises 90 per cent fats. Another study conducted in the early 1970s confirmed that epileptic children placed on keto diet benefited immensely, and some even became seizure-free. New evidence from a long-term study published on The Lancet looks at more than 15,000 people in the US and another 432,000-people around the world and it indicated that getting around 50-55% of a day's energy from carbohydrates might be ideal. Very low carb diets have short-term benefits which are mostly superficial and short-lived, but the long-term health benefits are definitely not worth the risk. 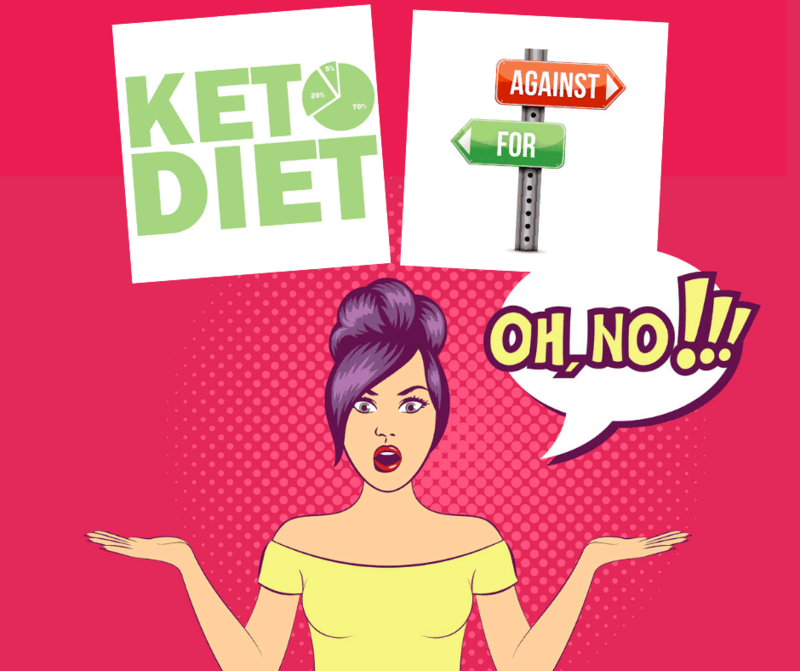 As we learned above, the ketogenic diet has been used to treat epilepsy and other health conditions, but over the years more people are using this low carb diet to lose weight and in most cases, this practice has seriously backfired. As Keto is a very extreme form of low carb diet, a constant medical supervision is required whilst on the diet. Using Keto diet unsupervised and for aesthetic purposes can result in serious health problems. So, should we write off Keto diet completely? Of course not, as it has certainly proven to have some great medical benefits when properly executed and closely supervised but for anyone who is considering giving it a try as a recreational weight loss program should not do it hastily and should really do the research and find out all the health risks and side effects involved before jumping into it. Don't look for a way of eating that is so strict and limited that you can only stay sane if you do it for two weeks every four months; that isn't a recipe for meaningful results. The latest research shows that ketosis can be considered beneficial in only the most extreme circumstances. So, unless you are an endurance athlete running a cross country, someone trying to control epileptic symptoms or going on a commando mission, keto is not really the best thing for you. Keto diet has been voted last at the line up of Best Diets for 2018. In this video below, registered nutritionist and dietitian Samantha Heller discusses some of the reasons why keto diet did rank all the way at the bottom and she has some concerns about what the low-carb, high-fat diet can do to your health. The biggest concern nutritionists have when it comes to these diets is that the long-term effects are often undesirable. Most people claim that the keto diet is good for health, because it helps keep the blood pressure, blood sugar and cholesterol at optimal levels. However, you don’t need to go to extremes to achieve this. Adopting a sensible approach to eating and having an active lifestyle can help you get there, just in a less painful way. According to many experts, one of the common side effects of the keto #diet is “the keto flu”. This condition usually occurs in the process of transitioning to the #keto lifestyle and is characterized by increased fatigue, brain fog and troubles sleeping. Nutritional Deficiencies: The body needs a balanced diet to stay healthy and happy. Cutting out whole grains and essential vitamins and minerals come with the low carb high-fat package that Keto offers. Heart ailments: A Keto diet also puts you at risk of developing heart problems due to high consumption of saturated fat. Medical guidelines suggest only 30g saturated fat consumption per day for men and 20g for women. Hormone Disruption: Due to limited thyroidal function, hormone production will be reduced. In men, lower testosterone levels will be experienced and in women, lower fat burning hormone leptin levels. This could cause muscle aches and fatigue and actually slows down the fat loss. Salt Loss: When on a Keto diet, the human body starts to use up all the sugar it can, causing you to urinate more often, in the process, losing body salt. Constipation: The limitation on the number of vegetables consumed during a Keto diet reduces fiber intake. This results in constipation. Leg aches: When sodium level in the body is low as a result of the salt loss, a condition of the legs called hyponatremia can occur. Ketoacidosis: Ketones can build up in your blood can cause it to becomes too acidic that can lead to a coma or even death. If you are someone who is on keto or considering going on this diet, it is important that you know what is wrong with keto diet pyramid and how it can leave you very unhealthy. 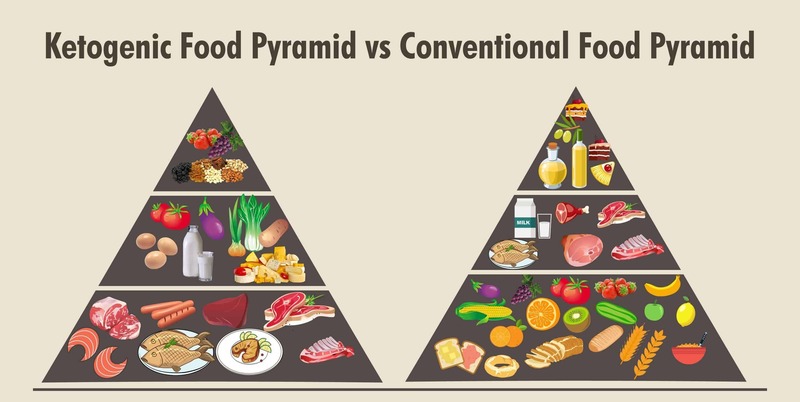 Ketogenic diet chart outline vs conventional diet food pyramid. While there is nothing wrong about having meat per se, but no one with a sane mind would ever recommend bacon. How could a healthy diet contain processed meat that is full of carcinogens? Not unless you are looking to cut your life short. No diet that starts with bacon can be termed healthy. Next up on the keto pyramid is usually lots of protein in the form of salmon, fish, poultry and red meat. Then there are eggs, cheese, milk and vegetables. At the top of the keto pyramid are seeds, nuts and berries. This is the exact inverse of the food pyramid that humans have been following since times immemorial. While you can have protein, fat and even meat to your liking, this particular food pyramid is not the normal human diet. It cannot in any way keep you healthy or live long. We, as humans are not evolved to take in so much meat or fat. It simply does not come naturally to us. Ample research has been conducted on vegetarian and vegan based cultures, and a lot of studies have shown that the more meat you eat higher is your risk of developing osteoporosis. Acid-forming foods include most high-protein foods, such as meat, fish and eggs. Foods that are considered acidic must have a pH level of 4.6 or lower. Although we would like to believe that people who eat a lot of meat get sufficient protein and calcium and ideally their bones should be nice and strong, but this is far from true. When someone eats a LOT of meat, their body produces a lot of acid, and when this happens, the body draws calcium from the bones to neutralize these acids. Hence, the higher risk of osteoporosis. It is simple biochemistry that happens within our body to maintain the optimal pH of 7.356. So, if you have to eat meat, you should rather stick to some of the better food pyramids. 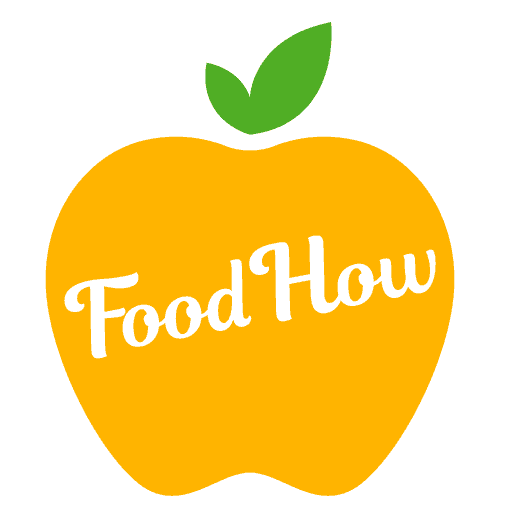 Let us check out some of the major food pyramids that we know of. Food Guide Pyramid, which was released by United States Department of Agriculture. The first one we will talk about is the USDA food pyramid. According to this, you should be having 6-7 servings of bread, cereal, rice and pasta, which are essentially processed grains. It’s needless to say that these are unhealthy. Next up in the USDA food pyramid is 2-4 servings of fruits and 3-5 servings of vegetables. Further up in the pyramid is fish, meat, poultry, eggs, beans, and nuts and the recommended intake is 2-3 servings. The dairy products such as cheese, milk and yogurt are 2-3 servings a day, and finally, we have oils, fats and sweets. The biggest flaw in this food pyramid is that at the very foundation there are processed grains. These processed grains can cause an increase in triglycerides, LDL based cholesterol, blood sugar and insulin irregularity, which can eventually lead to type 2 diabetes and various other inflammatory conditions. While it does include fruits and vegetables, 3-5 servings are way too less. Moreover, a lot of dairy makes it only worse. The next one that deserves a mention is the Mediterranean based diet. A lot of research has gone into the Mediterranean diet, and how it may help lower inflammation, the risk of cardiovascular disease, improve heart health and maintain optimum blood pressure. At the foundation of the Mediterranean diet are vegetables, fruits, whole grains, beans, nuts, olive oil, seeds, legumes, spices and herbs. This diet is closest to a diet that promises anti-ageing, anti-cancer and anti-disease properties. The Mediterranean food pyramid is inspired by the eating habits of Southern Italy, Greece and Spain. Before we move on, it is essential to understand why we cannot completely eliminate carbs from our diet and why we need more vegetables in our diet. We have an almost 28 feet long digestive tract, so we need a good amount of fiber in our diet to keep this tract healthy. With a keto based or any other super low carb diet, we throw our microbiome off the balance, which can play havoc with our digestive and immune system. It is also responsible for making many B vitamins, Vitamin K helps in processing serotonin, which ultimately leads to melatonin, the hormone that helps us sleep well. Without fiber in our diet, deadly illnesses such as colon cancer become a real threat. Coming back to the Mediterranean diet, we have already discussed how fruits, vegetables and whole grains can provide a host of health benefits. Olive oil, nuts, beans, legumes, herbs, seeds and spices are known to lower risk of cardiovascular problems, reduce inflammation and lower blood pressure. Next up are fish and seafood, which are rich in omega-3 fats. Then we have poultry like chicken, duck and turkey, and foods like cheese, yogurt and eggs. These food items are to be had every two days or even less frequently. And at the top are sweets and meat. So, once in a while, one can indulge their sweet tooth or enjoy a portion of red meat. This is all about the Mediterranean diet and as we can see it is quite in line with what we require for a healthy living. If Not Keto Or Mediterranean, Then What? Now, the question that arises is: if not Keto or Mediterranean, then what? It’s time we go back to the indigenous diets. Owing to the high levels of chronic non-communicable diseases in the modern world, we are forced to revert to the diets of our ancestors in order to regain lost nutrients. 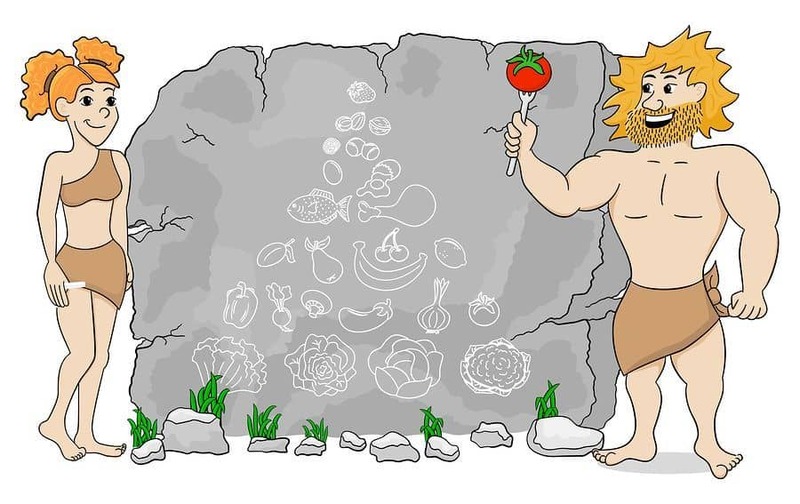 Looking at the diets of populations that lived really long, we see a lot of fruits and vegetables, in fact, more vegetables. Next in the pyramid is low-fat protein from fish and poultry and monounsaturated fats from things like avocado and olives. These food items are very healthy, boast of anti-inflammatory properties and are known to promote a healthy cardiovascular system. For a long and healthy life, at least 50-70 per cent of your diet should be vegetables and fruits. 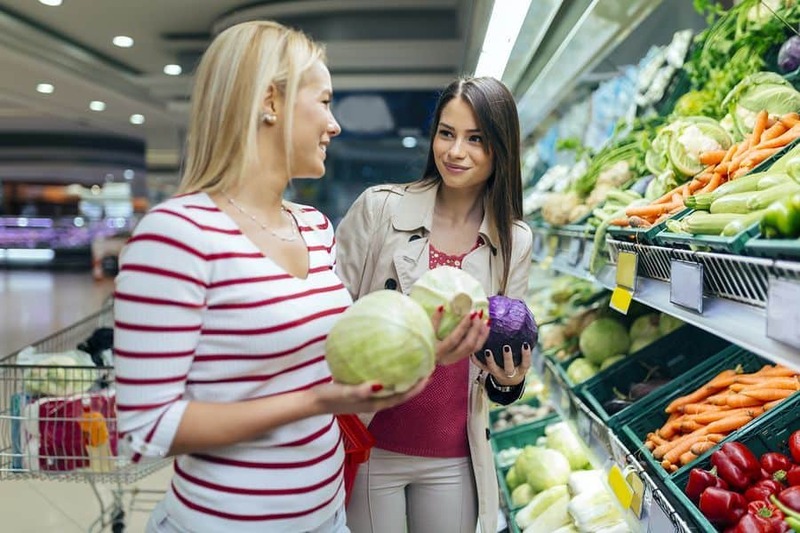 If you have an endomorphic body type and you are worried about weight gain, you should have more vegetables, essentially leafy greens, asparagus, bok choy, Brussels sprouts and cauliflower. All these vegetables are sulphur rich and great for your body. You can also include some berries in your diet if you are worried about the glycemic index of the fruits. It is okay to have a small portion of protein, and other things like olive oil, avocado, seeds and nuts. Once in a while, you can also take some grains and starches. Those with an ectomorph body type can have more of starches from foods from sweet potatoes, potatoes and yam. All these root vegetables are high on starch. So, you don’t necessarily need to get your starches from rice or oatmeal. If you are on a diet that does not have fruits and vegetables as a foundation, you are not going the healthy way. It will be particularly damaging if you follow this type of a diet for the long term. Even if you intend going on a low-carb diet, you can still have fruits and vegetables at the cornerstone of your diet. You can make your smoothie with lots of greens and some berries. It’s just an example; there is a whole world of possibilities with vegetables and fruits, even when you are on a low carb diet. To stay healthy and live a long life, you should eat the foods that have been proven to possess anti-oxidants, kill cancer cells and fight diseases. Those brightly coloured fruits and vegetables that you see in the supermarkets are a storehouse of nutrients. You can still have some eggs and other foods on your plate as long as 50-70 per cent of your meal is made of fruits and vegetables. You can make a huge bowl of salad; add an egg to it, a little drizzle of olive oil and a dash of sea salt. The bottom line is that you should avoid any fad diets, and adopt a healthy vegetation-based diet in the long term for a healthy and long life. Now, if you really had put your hopes into Keto diet and you thought that it was the only way for you to get that lean body you have always desired, don't worry, there are many other diet programs out there that are lot less extreme, more balanced, healthy, sustainable in long-term like this one here that have delivered some amazing results for thousands of woman around the world. 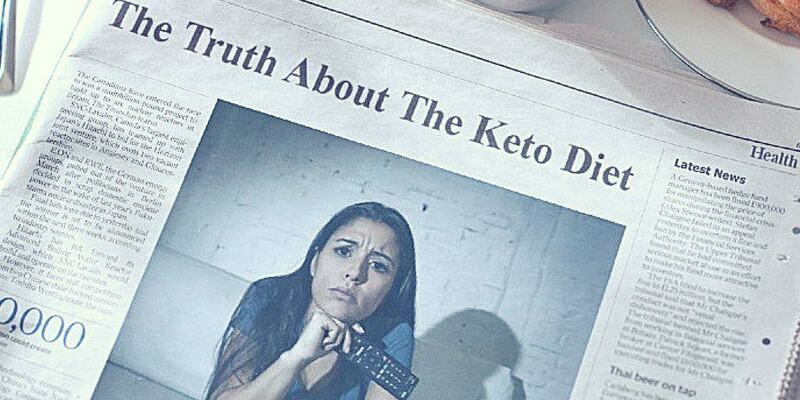 The Truth About the Ketogenic Diet and Weight Loss! This groundbreaking FREE video from the world-class expert and international best selling author will expose the health risks caused by keto diet that may completely floor you. What is Ketogenic Diet? Is it safe? Does it really work? What are the health risks? Brad Pilon gets asked these questions and many more on an almost daily basis. And it is not a surprise as Brad is a nutritionist and world-class expert in diet, weight loss, physiology and biology and has dedicated his life to the science of female metabolism and fat loss. Always when there is a new weight loss fad making the rounds on social media and the internet he is the person that thousands of women all over the country turn to get the “inside scoop” and uncover the real facts about whether a program like the Keto Diet can actually work and whether or not it is safe. Inundated by all the questions, Brad quickly realized that responding all those questions about the Keto Diet by himself was becoming increasingly difficult task so decided to create a video report that women everywhere can watch at their convenience to discover the truth about the Ketogenic Diet. If you are planning to go on Keto diet or you have already started Keto diet and you have been looking for an information about the Keto Diet based on the actual facts then this must-see video from Brad Pilon is the best and most accurate source you can currently find. In this video report, Brad will cover all the frequently asked questions about the Keto diet and uncover some shocking facts about this diet that Keto marketers won't tell you. What does the ketogenic diet really do for women? Can it really help you to create the fast and sustainable weight loss that many are claiming? What is the KETO FLU and will it affect me? The surprising answers to these questions and others will be revealed. You will also learn the real story about why the Keto diet was created and what it was originally intended for and all the good, the bad and the ugly. It is all in there along with the facts you need to know in order to help you make an educated decision as to whether the Keto Diet is right for you. The knowledge and the information Brad will be sharing will no doubt be useful or even critical for many who are deciding on whether or not to try the Keto Diet so we highly urge you to put away any distractions and give your undivided attention while watching this video report, not only is the video very well made and interesting to watch but your health and weight loss results could suffer if you follow a diet program without accurate, reliable and timely information. Brad Pilon is a world-class expert in weight loss, nutrition, physiology and biology who has dedicated his life to the science of fat loss and female metabolism. He is a sought-after speaker, mentor and coach and he is also a two-time international Best-Selling weight loss author who has spent the last decade teaching women around the world how to burn off their most stubborn body fat quickly safely and naturally. So make sure and watch the video presentation before committing to any Keto or Low Carb Diet. Your health, well being and weight loss results may very well depend on it. Finally, whichever diet program you decide to go for, always makes certain you have all the details before you make your decision. Ensure the diet program is actually suitable for you, that it actually works and that it is safe and natural. What Are Your Thoughts On Ketogenic Diet? Keto Diet Is Still Having A Moment But Its Legitimacy Is Now Up For Debate, so join the debate and leave your comment below. Tell us about your experience with the keto diet and whether you think if it is a good or a bad idea for sustainable weight loss. The Mediterranean diet is usually the best diet to eat for most people. You want to have your diet mostly made up of vegetables like you said. Fruit is good as well but you don’t want to eat too much. You get plenty of vitamin C and other nutrients in veg anyways. This keto diet is a mess and I still can’t believe I fell for it. I think this is a great short-term option for maybe bodybuilders but not everyday people! I am still not feeling right and have been off the keto diet for 3 weeks now. Funny thing is, the weight I had gained in 3 months came back off AFTER I stopped the keto plan. I am thankful of that but I still have yet to lose the weight I originally wanted to. I am spreading the word about this keto BS though. People should not be eating this much meat or fat! The best recipe for achieving a normal weight is always balanced nutrition and a lot of movement. Everything is required to eat in normal quantities. That is what I have been thought. I don’t agree with primarily eating meat or primarily eating grains. The staple of a healthy diet starts with vegetables. Then you mix in fruit, dairy, and some grains. Then you do meats and fats. Finally everything else like sugar and sweets. Our bodies are designed to have a foundation of vegetation. Just look at our teeth! Anyone else agree with me on this? I do agree with it 100% People should really do the keto with caution because the fact is that we really don’t have any long-term research about how keto followers fare 10, 20, 30 years from now down the line. There will be health consequences for sure. I did watch the video, lot of the things they said about the Keto Diet is well know already so there was nothing really new in there for me. I did try keto myself a few years ago, I didn’t have any issues with it but my friend got some nasty health complications so she stopped it after a month or so, I kept going for almost a year and then I stopped. I just wanted to eat normally again, I got sick of all the meat and the fat and everything, I just wanted to eat bread and pasta and rice again. Need to start dieting again, probably not keto this time, perhaps something bit more flexible. I did watch the keto report, it was quite eye-opening, a bit too long though. Not surprised that health experts rank The Keto Diet dead last in the list of 2018’s best diets. I have done Brad’s diet at the end of the post in the video and since I have done this diet I have lost 6 kilos, I recommend it to everyone, besides there are not too many sacrifices, that’s all I want ed to say. Fantastic report on this. It is amazing how little people talk about the negative issues with the keto diet. Had I known just half of this going in, I would have NEVER tried it. I was only on it for 3 months and felt horrible… I can’t imagine what it does to people long term. I think the best approach is looking at your own genetic makeup. Where your ancestors are from and what they ate. Keto is like playing Russian roulette with your health and your life long term. If someone tries to sell you on it, show them this video! Seriously!! What makes no sense to me about this is that the body does great on fasting but only short-term fasting. If you do a 3, 10, or even 20 day fast, you are to take a break of at least 2 months. To constantly be forcing your body into a fasting stage will lead to vitamin deficiencies and health problems. I didn’t know a lot about Keto diet. Thanks for the help. Thanks for sharing the article about Keto Diet – Food Pyramid Turned Upside Down.Everything is required to eat in normal quantities. Everyone is different, so keto diet can be effective for me and inappropriate for someone else. Anyway, we should know all these facts and decide what to do. I heard only good things about Keto diet. We can talk about this diet all day long, right ? My sister, she try it, and she said it made miracles on her, so to speak. With the keto diet, it is you either love it or you hate it, there is research that says it is the best thing since sliced bread and then there is research that says you should never touch it. I would say, don’t listen to any experts, whether they are for or against keto. Just try it out yourself and see if it works for you. I personally like the idea of the keto diet but I am not going to try it because I know I would not be able to keep it up for more than a week so I need something that is much less restrictive and also because of the lack of carbohydrates in your diet, your blood sugar levels will be varied, so you may experience an acute appetite for sweets. Another reason why I wont try it is psychological because what is forbidden is normal to become more attractive and I know I don’t have the willpower to keep it up for long. Wow! I didn’t realize this zero carb diet might not be the right one for my lifestyle. I’m going to have to go back to the drawing board for new diet ideas, the Thin From Within diet program looks promising, I might give that one a try. Keto is not the only diet that is in the top five worst diets, there is also Dukan diet, The Blood Type Diet, Raw Food Diet and Baby Food Diet. Steer clear of these ones also. I have fallen for so many of these fad diets like keto or Dunkan diet over the years and since gaining back a lot of weight 6 years ago, I have been really making an effort to lose it since 2016. I mentioned this in another article I read that it lead me to gain weight. I did the diet for 3 months. Looking at the pyramid, you have to think. Humans are not designed to handle THAT much meat! I felt tired, broke out in acne, I couldn’t sleep, and I went up a whole dress size in 3 months. I think that there is truth in this fad diet in that fats are good for you and so is meat but overeating either one is only asking for health problems. Not worth the risk! I will be sticking to eating more veggies. Ok, let me explain how it workes. Ketones are produced if you eat very few carbs and only moderate amounts of protein (an excess protein will also be converted to blood sugar). The liver produces ketones from fat so you will burn all your fat. These ketones then serve as a fuel source throughout your body and especially for your brain. Yes, there might be some health risks involved but you certainly lose weight and fast, I can guarantee it. To achieve the same result eating vegetables it would take twice as long. Common, who would follow celebrity diets, it is not even possible for regular working people, our lifestyle is so different, I do need all the nutrient I can get just to get through the day. No carbs, no thank you. I think zero carb diet is one of the best for weight lifting and bodybuilding. To get strong and build muscle you need a lot of protein and the best source of protein is meat, right? And who needs carbs, instead of carbs you can have caffeine for energy. It’s not rocket science. Last month my GP advised me to keep a diet plus take medicines for liver regeneration, as I did an ultrasound and I had fatty liver. He also told me to stop the keto diet ASAP. My husband often makes fun of those celebrities’ diets, he is a nutritionist, but the keto diet is a whole other story altogether. Great points on the keto diet. I have been telling all along, It’s not all that simple as it looks on the first view. There are so many celebrities that are doing or have been trying out the ketogenic diet, like some of the celebrities I have listed below. However, I don’t know if that should be taken as encouragement or discouragement. Personally, I would be a bit sceptical of any diet that celebrities are endorsing. Also, the fact that many of them have dropped it by now shows should make one bit cautious. But I could be wrong as I have never tried any low carb diets myself, I just eat normal and I live an active lifestyle and I look good and feel good so no need for any special diet plan for me. My wife is planning to go on a keto diet. I am a little bit worried now after reading this. She won’t be eating any bacon tho, will probably be mostly fish and nuts and eggs. Let’s hope for the best. I do agree, most people follow their celebrities and whatever diets or anything else they do blindly without even thinking about pros and cons. I always had my questions about the keto diet, just didn’t seem right to me, eating all that fat and so on. I especially surprised by the adverse effects keto can have on women. I know many women have who jumped on the keto trend, definitely will be telling them about this. Thanks for the info! A very interesting Keto diet article, so useful! Unfortunately, I’m a bit overweight at the moment following my pregnancy. However, people really should stop copying celebrity diet trends blindly and think before if something is really good for them or not! Eating predominately meat just don’t sound that healthy for me. I’ll see what others have to say about that. Good article, very interesting information. Thank you. Great Article, Thanks fro sharing! Choosing a balanced and adequate and varied diet plan is important. Your organs and tissues need the right nutrition to work effectively and I don’t think that keto is a very balanced diet, to be honest. It seems to work for some people tho, I know few people from work who have tried the keto diet and it seemed to work for them, they did lose some weight, but none of them could keep it up for very long, it is so super restrictive. The option they offer at the end of the video, get thin from inside or something, that seems like a more sensible approach. Great post, thanks. I do have some first-hand experience actually with this, I did try the keto last year and it seemed alright at the beginning, I did even lose some weight, one of the problems for me was that I got sick of eating fat quite fast, first it was ok, I even liked it but it got old in less than a month. I really started to crave toast and jam for breakfast and pancakes. 🙂 Also, the huge blunder I made was entering in it bit too fast and being unsure about it, but after I started getting some of these worrisome side effects that they talk about in the video, then I began doing a considerable amount of research and what I came across was not good. Therefore not surprisingly, I stopped it immediately and now I have been off keto for 3 months. I don’t follow any diet program at the moment, if I do find something interesting I might try it, just trying to eat sensibly that’s all. I think in North Korea the whole population uses low carb diet except their leaders. Combine the Keto diet with semi-regular exercises like riding a bike and you will be fine. But it should not be done for the long-term. I am a fan of the extreme diets- 0 food for a certain period of time, the longer, the better. In these no food intervals, one feels the deep detox and overall healing effect of mind and body. I tried it for 14 days and had mate/yerba every day. Of course, such drastic diets are not recommended without prior preparation and medical supervision. I believe that Keto may be a good temporary fix for people with blood type 0 who are naturally drawn to meat. I think the Keto diet does work but at what price? I would not recommend going to those extreme conditions and compromise the way you live just to enter the ketosis stage which is so infamously hard to enter into anyway, this diet is not really sustainable in the long run, that I do agree. Great video about the Keto diet, thanks for sharing. Keto diet has been a very hot topic lately, not sure how popular it is tho, sound quite extreme to me at first glance. The tips about the Keto diet are very useful! My wife tried the ketogenic diet, when she told me that it is only eating fat mostly and bit of protein I thought she was pulling my leg but that is actually a real diet that people do, did sound quite wrong to me, I was worried that she was going to get a heart attack eating all that bacon, luckily it didn’t last very long and she was back to eating normally in about 4 weeks time. And yeas, it did have some nasty side-effects. I did watch the report, very interesting, so many things about the diet I didn’t know. However, I personally consume fewer fats and eat many fruits and vegetables, chicken or fish. Also, for example, I eat boiled eggs, but never fried eggs. Everybody different! For years I had to adjust my fat, carbs, protein. What works for me is 40% protein 40% carbs 20% fat. Keep adjusting what works for you and depends on how active you are and your metabolism. I eat only clean food. The problem is food doesn’t make you fat junk food does! Yes, everything in moderation!﻿ Good article! I think the biggest question is why would anyone want to try a keto diet? It is very difficult to follow properly and not even necessary for weight loss. Low carb is almost as effective for weight loss and is much easier. Also, you could look into the Modified Atkins Diet. Modified Atkins diet allows for lot higher protein consumption than a ketogenic diet would, while still staying for very low carb levels. This is for anyone who has started keto diet or if you are considering going on it. I really urge you to do some research first and find out more about it. The keto report is really good as the accurate information is not always easy to find and it has been overpowered by all the hype and misinformation. My wife tried the ketogenic diet, I do have some first-hand experience actually with this, I did try the keto last year and it seemed alright. I share the same opinion: Keto diet isn’t good. I prefer the Mediterranean based diet. I feel that I’m much healthier with this diet. I did the keto plan for a good 3 months. What I experienced was horrible. I had read about it being such a big breakthrough that I wanted to try it. I was sick of caring around this extra 40 pounds! Well, I did it. I stuck to it and I not only broke out in acne but I GAINED weight!! It didn’t start right away either. At first, I felt great and appeared to be losing weight and then out of nowhere the scale started going up and my pants didn’t fit! I do not recommend this to anyone. Fats are healthy but not in excess. DO NOT DO KETO! Thinking in a different direction always ends up helpful. In a time where the word ‘Keto diet’ keeps the top place in search results for weight loss solutions, this article has lots of points that need to be debated on ‘the hidden face of keto diet’. Great work Jen. Hmm, this sounds so interesting to me, I am on the keto last few months, my body is ready for something little bit different, this could be it. The Keto diet can be very dangerous. My well-being has gone down dramatically after I started it, I hope I will recover tho once I stop it. Thanks for this article. Nice article and very interesting video about the keto diet and the effects it can have on health. Yeah, unfortunately, bacon and eggs have been the staple breakfast for centuries in the West. Usually, I prefer fresh berries, yoghurt and oatmeal, but now I’m thinking of switching to what this weight loss program suggests. Killer article! Really made me think about jumping on the Keto diet now. This weight loss article is quite interesting, thanks for sharing this. I was actually planning on a Keto diet, never thought it will cause these side effects in long-term. Glad I found this article at right time. I personally think that we should see first a professional dietician before we undergo any diet program. Especially if one wants to try crazy low carb diets like The Keto or some other ones. First, the video is informative, but keep in mind that Brad is advertising his own program in this video. So it’s really not an objective, fully factual video. For example, Keto-flu is a side effect of nutrient loss and indicates a lack of supplements. For me, it was as easy as drinking a glass of Aloe water with a pinch of Himalayan salt every day = keto-flu gone. As for sustainability (and I am a little irritated with this, so do not feel offended, I am not attacking anyone personally). Sure, keto does not allow you to have “the best of both worlds”. It requires self-discipline and sacrifices. Those sacrifices are NOT unreasonable. It’s HEALTHY. Ketogenic diets are NOT WITHOUT TREATS, does not eliminate pancakes and pizza and chocolate. It eliminates the “easy” options. So if you do your homework and put in some effort, it’s completely realistic to follow long term. I’ve been on the keto diet for nearly three years now. I have documented my fitness results and did actually see improved performance, and I have absolutely no problem with leptin at all. I did have some nutrient deficiencies, but by adapting my diet to include certain foods, I am now 100% healthy. I would say the biggest problem with the ketogenic diet is that people are uninformed, misinformed and/ill-informed. Correct, accurate and objective information is hard to find because people don’t want to read research papers, they’d rather read a blog post for info. If that’s the case, then yes, you are going to fail at ketosis. I was really sceptical about Brad’s program I had tried literally everything, including Keto and I found so many of these weight loss programs focus on the fast weight loss instead of building lifetime habits that will keep the weight off for good. I love Brad’s program. I have actually learned really a lot already and I can not wait to learn more! I do agree, Keto diet requires an enormous amount of self-sacrifice and discipline. Personally, I think Keto works, but there are lot easier and balanced ways to achieve the same result and Brad is promoting exactly such a program. I am not looking for any weight loss program at the moment but if I was to try one I would go for the Brads program. He is doing a good job promoting it as the video is great so he gets A for an effort. It could work for some and not for others but that’s how it is with any other weight loss program that is offered out there. I know some people who have tried this keto diet and stopped after a few weeks, after learning about the dangers connected to it. The long-term effects should also not be underestimated. Great post, very interesting. After watching this report I’m not quite sure if I want to try the Keto now. I think it would be better to try some another more balanced diet instead. The one in the video sounded quite good but I don’t want to spend any money on the diet plans. Are there any good weight loss programs that are not very restrictive and I can get it for free? It is always a good idea to eat balanced meals, when starting a new diet you should have the supervision of a specialist to avoid any health risks, thanks for the information, good blog and I must say it is very well said, quite a good observation and approach to the complex talks about KETO ideology. Hey, You really convince me, I have stopped the keto diet now, I wasn’t doing that good anyway. I think that it has been quite well known already that if we are planning to lose some weight, it is advisable that we go for a well-balanced diet to make sure that we are still healthy and we will not regret it in the end. So, nothing new here I must say, old news. Brads diet help me a lot, thank you so much. First results were visible after only 2 weeks, amazing! Keto diet might be good for people with some health conditions and people with very high insulin levels, but it doesn’t make sense as a weight loss diet or let me correct myself, it doesn’t make sense as a sustainable, healthy weight loss diet. For most people, there are so much better diet programs available. Also, never get into an argument with the keto believer, just walk away. This is so cool. Killer article! Really made me think about jumping on low carb diets now. Fat is actually so crucial to our health, and most of us really don’t get enough of it, I am not sure about the quantities that Keto plan is suggesting it, seems a bit excessive to me but. Still not sure, there are just too many pros and cons when it comes to Keto diet and too many different opinions. I guess the best way to find out is just to try out the different diets and see which one works for you.